There are a huge number of organisations in the UK who provide financial help and funding grants to give schools and clubs the opportunity to build brand new sand filled sports pitches for football, hockey and multi sports. The 2G sand filled pitch funding can be made available to a variety of institutions including schools, colleges and sports clubs who apply and are accepted to receive financial help for the installation of a top quality 2G synthetic grass sports facility. 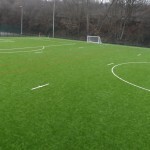 Having a sand filled artificial turf sport surface means that less maintenance is required compared to a natural grass pitch and this will help to reduce costs for the school or club in the future. 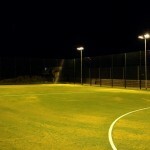 Please contact us for more information on funding grants for this type of facility. We’ll get back to you as soon as possible with more details on the process and if you are eligible to apply.